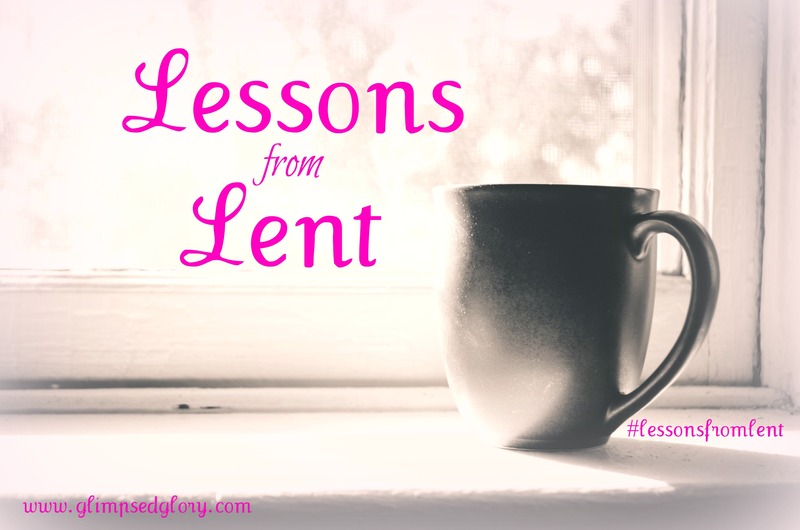 In the next 40 days (9 now because you have already accomplished thirty-one), the weeks leading up to Easter, the posts on Glimpsed Glory will be different. I am reading through the New Testament during this time and I am hoping the Holy Spirit will lead me to a fresh revelation each and every day. I’m going into it with a prayerful heart and an expectant spirit but I will fully confess to you that my soul feels sluggish. 2 To Timothy, my true son in the faith: Grace (spiritual blessing and favor), mercy, and [heart] peace [be yours] from God the Father and Christ Jesus our Lord. 3 As I urged you when I was on my way to Macedonia, stay on where you are at Ephesus in order that you may warn and admonish and charge certain individuals not to teach any different doctrine, 4 Nor to give importance to or occupy themselves with legends (fables, myths) and endless genealogies, which foster and promote useless speculations and questionings rather than acceptance in faith of God’s administration and the divine training that is in faith ([a]in that leaning of the entire human personality on God in absolute trust and confidence)—5 Whereas the object and purpose of our instruction and charge is love, which springs from a pure heart and a good (clear) conscience and sincere (unfeigned) faith. 6 But certain individuals have missed the mark on this very matter [and] have wandered away into vain arguments and discussions and purposeless talk. 7 They are ambitious to be doctors of the Law (teachers of the Mosaic ritual), but they have no understanding either of the words and terms they use or of the subjects about which they make [such] dogmatic assertions. 8 Now we recognize and know that the Law is good if anyone uses it lawfully [for the purpose for which it was designed], 9 Knowing and understanding this: that the Law is not enacted for the righteous (the upright and just, who are in right standing with God), but for the lawless and unruly, for the ungodly and sinful, for the irreverent and profane, for those who strike and beat and [even] murder fathers and strike and beat and [even] murder mothers, for manslayers, 10 [For] impure and immoral persons, those who abuse themselves with men, kidnapers, liars, perjurers—and whatever else is opposed to wholesome teaching and sound doctrine 11 As laid down by the glorious Gospel of the blessed God, with which I have been entrusted. 12 I give thanks to Him Who has granted me [the needed] strength and made me able [for this], Christ Jesus our Lord, because He has judged and counted me faithful and trustworthy, appointing me to [this stewardship of] the ministry. 13 Though I formerly blasphemed and persecuted and was shamefully and outrageously and aggressively insulting [to Him], nevertheless, I obtained mercy because I had acted out of ignorance in unbelief. 14 And the grace (unmerited favor and blessing) of our Lord [actually] flowed out superabundantly and beyond measure for me, accompanied by faith and love that are [to be realized] in Christ Jesus. 15 The saying is sure and true and worthy of full and universal acceptance, that Christ Jesus (the Messiah) came into the world to save sinners, of whom I am foremost. 16 But I obtained mercy for the reason that in me, as the foremost [of sinners], Jesus Christ might show forth and display all His perfect long-suffering and patience for an example to [encourage] those who would thereafter believe on Him for [the gaining of] eternal life. 17 Now to the King of eternity, incorruptible and immortal, invisible, the only God, be honor and glory forever and ever (to the ages of ages). Amen (so be it). 18 This charge and admonition I commit in trust to you, Timothy, my son, [b]in accordance with prophetic intimations which I formerly received concerning you, so that inspired and aided by them you may wage the good warfare, 19 Holding fast to faith ([c]that leaning of the entire human personality on God in absolute trust and confidence) and having a good (clear) conscience. By rejecting and thrusting from them [their conscience], some individuals have made shipwreck of their faith. 20 Among them are Hymenaeus and Alexander, whom I have delivered to Satan in order that they may be disciplined [by punishment and learn] not to blaspheme. First of all, then, I admonish and urge that petitions, prayers, intercessions, and thanksgivings be offered on behalf of all men, 2 For kings and all who are in positions of authority or high responsibility, that [outwardly] we may pass a quiet and undisturbed life [and inwardly] a peaceable one in all godliness and reverence and seriousness in every way. 3 For such [praying] is good and right, and [it is] pleasing and acceptable to God our Savior, 4 Who wishes all men to be saved and [increasingly] to perceive and recognize and discern and know precisely and correctly the [divine] Truth. 5 For there [is only] one God, and [only] one Mediator between God and men, the Man Christ Jesus, 6 Who gave Himself as a ransom for all [people, a fact that was] attested to at the right and proper time. 7 And of this matter I was appointed a preacher and an apostle (special messenger)—I am speaking the truth in Christ, I do not falsify [when I say this]—a teacher of the Gentiles in [the realm of] faith and truth. 8 I desire therefore that in every place men should pray, without anger or quarreling or resentment or doubt [in their minds], lifting up holy hands. 9 Also [I desire] that women should adorn themselves modestly and appropriately and sensibly in seemly apparel, not with [elaborate] hair arrangement or gold or pearls or expensive clothing, 10 But by doing good deeds (deeds in themselves good and for the good and advantage of those contacted by them), as befits women who profess reverential fear for and devotion to God. 11 Let a woman learn in quietness, in entire submissiveness. 12 I allow no woman to teach or to have authority over men; she is to remain in quietness and keep silence [in religious assemblies]. 13 For Adam was first formed, then Eve; 14 And it was not Adam who was deceived, but [the] woman who was deceived and deluded and fell into transgression. 15 Nevertheless [the sentence put upon women of pain in motherhood does not hinder their souls’ salvation, and] they will be saved [eternally] if they continue in faith and love and holiness with self-control, [saved indeed] [a]through the Childbearing or by the birth of the divine Child. The saying is true and irrefutable: If any man [eagerly] seeks the office of bishop (superintendent, overseer), he desires an excellent task (work). 2 Now a bishop (superintendent, overseer) must give no grounds for accusation but must be above reproach, the husband of one wife, circumspect and temperate and self-controlled; [he must be] sensible and well behaved and dignified and lead an orderly (disciplined) life; [he must be] hospitable [showing love for and being a friend to the believers, especially strangers or foreigners, and be] a capable and qualified teacher, 3 Not given to wine, not combative but gentle and considerate, not quarrelsome but forbearing and peaceable, and not a lover of money [insatiable for wealth and ready to obtain it by questionable means]. 4 He must rule his own household well, keeping his children under control, with true dignity, commanding their respect in every way and keeping them respectful. 5 For if a man does not know how to rule his own household, how is he to take care of the church of God? 6 He must not be a new convert, or he may [develop a beclouded and stupid state of mind] as the result of pride [be blinded by conceit, and] fall into the condemnation that the devil [once] did. 7 Furthermore, he must have a good reputation and be well thought of by those outside [the church], lest he become involved in slander and incur reproach and fall into the devil’s trap. 8 In like manner the deacons [must be] worthy of respect, not shifty and double-talkers but sincere in what they say, not given to much wine, not greedy for base gain [craving wealth and resorting to ignoble and dishonest methods of getting it]. 9 They must possess the mystic secret of the faith [Christian truth as hidden from ungodly men] with a clear conscience. 10 And let them also be tried and investigated and proved first; then, if they turn out to be above reproach, let them serve [as deacons]. 11 [a][The] women likewise must be worthy of respect and serious, not gossipers, but temperate and self-controlled, [thoroughly] trustworthy in all things. 12 Let deacons be the husbands of but one wife, and let them manage [their] children and their own households well. 13 For those who perform well as deacons acquire a good standing for themselves and also gain much confidence and freedom and boldness in the faith which is [founded on and centers] in Christ Jesus. 14 Although I hope to come to you before long, I am writing these instructions to you so that, 15 If I am detained, you may know how people ought to conduct themselves in the household of God, which is the church of the living God, the pillar and stay (the prop and support) of the Truth. 16 And great and important and weighty, we confess, is the hidden truth (the mystic secret) of godliness. He [[b]God] was made visible in human flesh, justified and vindicated in the [Holy] Spirit, was seen by angels, preached among the nations, believed on in the world, [and] taken up in glory. But the [Holy] Spirit distinctly and expressly declares that in latter times some will turn away from the faith, giving attention to deluding and seducing spirits and doctrines that demons teach, 2 Through the hypocrisy and pretensions of liars whose consciences are seared (cauterized), 3 Who forbid people to marry and [teach them] to abstain from [certain kinds of] foods which God created to be received with thanksgiving by those who believe and have [an increasingly clear] knowledge of the truth. 4 For everything God has created is good, and nothing is to be thrown away or refused if it is received with thanksgiving. 5 For it is hallowed and consecrated by the Word of God and by prayer. 6 If you lay all these instructions before the brethren, you will be a worthy steward and a good minister of Christ Jesus, ever nourishing your own self on the truths of the faith and of the good [Christian] instruction which you have closely followed. 7 But refuse and avoid irreverent legends (profane and impure and godless fictions, mere grandmothers’ tales) and silly myths, and express your disapproval of them. Train yourself toward godliness (piety), [keeping yourself spiritually fit]. 8 For physical training is of some value (useful for a little), but godliness (spiritual training) is useful and of value in everything and in every way, for it holds promise for the present life and also for the life which is to come. 9 This saying is reliable and worthy of complete acceptance by everybody. 10 With a view to this we toil and strive, [yes and] [a]suffer reproach, because we have [fixed our] hope on the living God, Who is the Savior (Preserver, Maintainer, Deliverer) of all men, especially of those who believe (trust in, rely on, and adhere to Him). 11 Continue to command these things and to teach them. 12 Let no one despise or think less of you because of your youth, but be an example (pattern) for the believers in speech, in conduct, in love, in faith, and in purity. 13 Till I come, devote yourself to [public and private] reading, to exhortation (preaching and personal appeals), and to teaching and instilling doctrine. 14 Do not neglect the gift which is in you, [that special inward endowment] which was directly imparted to you [by the Holy Spirit] by prophetic utterance when the elders laid their hands upon you [at your ordination]. 15 Practice and cultivate and meditate upon these duties; throw yourself wholly into them [as your ministry], so that your progress may be evident to everybody. 16 Look well to yourself [to your own personality] and to [your] teaching; persevere in these things [hold to them], for by so doing you will save both yourself and those who hear you. 5 Do not sharply censure or rebuke an older man, but entreat and plead with him as [you would with] a father. Treat younger men like brothers; 2 [Treat] older women like mothers [and] younger women like sisters, in all purity. 3 [Always] treat with great consideration and give aid to those who are truly widowed (solitary and without support). 4 But if a widow has children or grandchildren, see to it that these are first made to understand that it is their religious duty [to defray their natural obligation to those] at home, and make return to their parents or grandparents [for all their care by contributing to their maintenance], for this is acceptable in the sight of God. 5 Now [a woman] who is a real widow and is left entirely alone and desolate has fixed her hope on God and perseveres in supplications and prayers night and day, 6 Whereas she who lives in pleasure and self-gratification [giving herself up to luxury and self-indulgence] is dead even while she [still] lives. 7 Charge [the people] thus, so that they may be without reproach and blameless. 8 If anyone fails to provide for his relatives, and especially for those of his own family, he has disowned the faith [by failing to accompany it with fruits] and is worse than an unbeliever [who performs his obligation in these matters]. 9 Let no one be put on the roll of widows [who are to receive church support] who is under sixty years of age or who has been the wife of more than one man; 10 And she must have a reputation for good deeds, as one who has brought up children, who has practiced hospitality to strangers [of the brotherhood], washed the feet of the saints, helped to relieve the distressed, [and] devoted herself diligently to doing good in every way. 11 But refuse [to enroll on this list the] younger widows, for when they become restive and their natural desires grow strong, they withdraw themselves against Christ [and] wish to marry [again]. 12 And so they incur condemnation for having set aside and slighted their previous pledge. 13 Moreover, as they go about from house to house, they learn to be idlers, and not only idlers, but gossips and busybodies, saying what they should not say and talking of things they should not mention. 14 So I would have younger [widows] marry, bear children, guide the household, [and] not give opponents of the faith occasion for slander or reproach. 15 For already some [widows] have turned aside after Satan. 16 If any believing woman or believing man has [relatives or persons in the household who are] widows, let him relieve them; let the church not be burdened [with them], so that it may [be free to] assist those who are truly widows (those who are all alone and are dependent). 17 Let the elders who perform the duties of their office well be considered doubly worthy of honor [and of adequate [a]financial support], especially those who labor faithfully in preaching and teaching. 18 For the Scripture says, You shall not muzzle an ox when it is treading out the grain, and again, The laborer is worthy of his hire. 19 Listen to no accusation [presented before a judge] against an elder unless it is confirmed by the testimony of two or three witnesses. 20 As for those who are guilty and persist in sin, rebuke and admonish them in the presence of all, so that the rest may be warned and stand in wholesome awe and fear. 21 I solemnly charge you in the presence of God and of Christ Jesus and of the chosen angels that you guard and keep [these rules] without personal prejudice or favor, doing nothing from partiality. 22 Do not be in a hurry in the laying on of hands [giving the sanction of the church too hastily in reinstating expelled offenders or in ordination in questionable cases], nor share or participate in another man’s sins; keep yourself pure. 23 Drink water no longer exclusively, but use a little wine for the sake of your stomach and your frequent illnesses. 24 The sins of some men are conspicuous (openly evident to all eyes), going before them to the judgment [seat] and proclaiming their sentence in advance; but the sins of others appear later [following the offender to the bar of judgment and coming into view there]. 25 So also, good deeds are evident and conspicuous, and even when they are not, they cannot remain hidden [indefinitely]. Let all who are under the yoke as bond servants esteem their own [personal] masters worthy of honor and fullest respect, so that the name of God and the teaching [about Him] may not be brought into disrepute and blasphemed. 2 Let those who have believing masters not be disrespectful or scornful [to them] on the grounds that they are brothers [in Christ]; rather, they should serve [them all the better] because those who benefit by their kindly service are believers and beloved. Teach and urge these duties. 3 But if anyone teaches otherwise and does not [a]assent to the sound and wholesome messages of our Lord Jesus Christ (the Messiah) and the teaching which is in agreement with godliness (piety toward God), 4 He is puffed up with pride and stupefied with conceit, [although he is] woefully ignorant. He has a [b]morbid fondness for controversy and disputes and strife about words, which result in (produce) envy and jealousy, quarrels and dissension, abuse and insults and slander, and base suspicions, 5 And protracted wrangling and wearing discussion and perpetual friction among men who are corrupted in mind and bereft of the truth, who imagine that godliness or righteousness is a [c]source of profit [a moneymaking business, a means of livelihood]. From such withdraw. 6 [And it is, indeed, a source of immense profit, for] godliness accompanied with contentment (that contentment which is a sense of [d]inward sufficiency) is great and abundant gain. 7 For we brought nothing into the world, and obviously we cannot take anything out of the world; 8 But if we have food and clothing, with these we shall be content (satisfied). 9 But those who crave to be rich fall into temptation and a snare and into many foolish (useless, godless) and hurtful desires that plunge men into ruin and destruction and miserable perishing. 10 For the love of money is a root of all evils; it is through this craving that some have been led astray and have wandered from the faith and pierced themselves through with many [e]acute [mental] pangs. 11 But as for you, O man of God, flee from all these things; aim at and pursue righteousness (right standing with God and true goodness), godliness (which is the loving fear of God and being Christlike), faith, love, steadfastness (patience), and gentleness of heart. 12 Fight the good fight of the faith; lay hold of the eternal life to which you were summoned and [for which] you confessed the good confession [of faith] before many witnesses. 13 In the presence of God, Who preserves alive all living things, and of Christ Jesus, Who in His testimony before Pontius Pilate made the good confession, I [solemnly] charge you 14 To keep all His precepts unsullied and flawless, irreproachable, until the appearing of our Lord Jesus Christ (the Anointed One), 15 Which [appearing] will be shown forth in His own proper time by the blessed, only Sovereign (Ruler), the King of kings and the Lord of lords. 16 Who alone has immortality [in the sense of exemption from every kind of death] and lives in unapproachable light, Whom no man has ever seen or can see. Unto Him be honor and everlasting power and dominion. Amen (so be it). 17 As for the rich in this world, charge them not to be proud and arrogant and contemptuous of others, nor to set their hopes on uncertain riches, but on God, Who richly and ceaselessly provides us with everything for [our] enjoyment. 18 [Charge them] to do good, to be rich in good works, to be liberal and generous of heart, ready to share [with others], 19 In this way laying up for themselves [the riches that endure forever as] a good foundation for the future, so that they may grasp that which is life indeed. 20 O Timothy, guard and keep the deposit entrusted [to you]! Turn away from the irreverent babble and godless chatter, with the vain and empty and worldly phrases, and the subtleties and the contradictions in what is falsely called knowledge and spiritual illumination. 21 [For] by making such profession some have erred (missed the mark) as regards the faith. Grace (divine favor and blessing) be with you all! Amen (so be it). 2 To Timothy, [my] beloved child: Grace (favor and spiritual blessing), mercy, and [heart] peace from God the Father and Christ Jesus our Lord! 3 I thank God Whom I worship with a pure conscience, [a]in the spirit of my fathers, when without ceasing I remember you night and day in my prayers, 4 And when, as I recall your tears, I yearn to see you so that I may be filled with joy. 5 I am calling up memories of your sincere and unqualified faith (the [b]leaning of your entire personality on God in Christ in absolute trust and confidence in His power, wisdom, and goodness), [a faith] that first lived permanently in [the heart of] your grandmother Lois and your mother Eunice and now, I am [fully] persuaded, [dwells] in you also. 6 That is why I would remind you to stir up (rekindle the embers of, fan the flame of, and keep burning) the [gracious] gift of God, [the inner fire] that is in you by means of the laying on of my hands [[c]with those of the elders at your ordination]. 7 For God did not give us a spirit of timidity (of cowardice, of craven and cringing and fawning fear), but [He has given us a spirit] of power and of love and of calm and well-balanced mind and discipline and self-control. 8 Do not blush or be ashamed then, to testify to and for our Lord, nor of me, a prisoner for His sake, but [[d]with me] take your share of the suffering [to which the preaching] of the Gospel [may expose you, and do it] in the power of God. 9 [For it is He] Who delivered and saved us and called us with a calling in itself holy and leading to holiness [to a life of consecration, a vocation of holiness]; [He did it] not because of anything of merit that we have done, but because of and to further His own purpose and grace (unmerited favor) which was given us in Christ Jesus before the world began [eternal ages ago]. 10 [It is that purpose and grace] which He now has made known and has fully disclosed and made real [to us] through the appearing of our Savior Christ Jesus, Who annulled death and made it of no effect and brought life and immortality (immunity from eternal death) to light through the Gospel. 11 For [the proclaiming of] this [Gospel] I was appointed a herald (preacher) and an apostle (special messenger) and a teacher of the Gentiles. 12 And this is why I am suffering as I do. Still I am not ashamed, for I know (perceive, have knowledge of, and am acquainted with) Him Whom I have believed (adhered to and trusted in and relied on), and I am [positively] persuaded that He is able to guard and keep that which has been entrusted to me and which [e]I have committed [to Him] until that day. 13 Hold fast and follow the pattern of wholesome and sound teaching which you have heard from me, in [all] the faith and love which are [for us] in Christ Jesus. 14 Guard and keep [with the greatest care] the precious and excellently adapted [Truth] which has been entrusted [to you], by the [help of the] Holy Spirit Who makes His home in us. 15 You already know that all who are in Asia turned away and forsook me, Phygelus and Hermogenes among them. 16 May the Lord grant [His] mercy to the family of Onesiphorus, for he often showed me kindness and ministered to my needs [comforting and reviving and bracing me like fresh air]! He was not ashamed of my chains and imprisonment [for Christ’s sake]. 17 No, rather when he reached Rome, he searched diligently and eagerly for me and found me. 18 May the Lord grant to him that he may find mercy from the Lord on that [great] day! And you know how many things he did for me and what a help he was at Ephesus [you know better than I can tell you]. So you, my son, be strong (strengthened inwardly) in the grace (spiritual blessing) that is [to be found only] in Christ Jesus. 2 And the [instructions] which you have heard from me along with many witnesses, transmit and entrust [as a deposit] to reliable and faithful men who will be competent and qualified to teach others also. 3 Take [with me] your share of the hardships and suffering [which you are called to endure] as a good (first-class) soldier of Christ Jesus. 4 No soldier when in service gets entangled in the enterprises of [civilian] life; his aim is to satisfy and please the one who enlisted him. 5 And if anyone enters competitive games, he is not crowned unless he competes lawfully (fairly, according to the rules laid down). 6 [It is] the hard-working farmer [who labors to produce] who must be the first partaker of the fruits. 7 Think over these things I am saying [understand them and grasp their application], for the Lord will grant you full insight and understanding in everything. 8 Constantly keep in mind Jesus Christ (the Messiah) [as] risen from the dead, [as the prophesied King] descended from David, according to the good news (the Gospel) that I preach. 9 For that [Gospel] I am suffering affliction and even wearing chains like a criminal. But the Word of God is not chained or imprisoned! 10 Therefore I [am ready to] persevere and stand my ground with patience and endure everything for the sake of the elect [God’s chosen], so that they too may obtain [the] salvation which is in Christ Jesus, with [the reward of] eternal glory. 11 The saying is sure and worthy of confidence: If we have died with Him, we shall also live with Him. 12 If we endure, we shall also reign with Him. If we deny and disown and reject Him, He will also deny and disown and reject us. 13 If we are faithless [do not believe and are untrue to Him], He remains true (faithful to His Word and His righteous character), for He cannot deny Himself. 14 Remind [the people] of these facts and [solemnly] charge them in the presence of the Lord to avoid petty controversy over words, which does no good but upsets and undermines the faith of the hearers. 15 Study and be eager and do your utmost to present yourself to God approved (tested by trial), a workman who has no cause to be ashamed, correctly analyzing and accurately dividing [rightly handling and skillfully teaching] the Word of Truth. 16 But avoid all empty (vain, useless, idle) talk, for it will lead people into more and more ungodliness. 17 And their teaching [will devour; it] will eat its way like cancer or spread like gangrene. So it is with Hymenaeus and Philetus, 18 Who have missed the mark and swerved from the truth by arguing that the resurrection has already taken place. They are undermining the faith of some. 19 But the firm foundation of (laid by) God stands, sure and unshaken, bearing this seal (inscription): The Lord knows those who are His, and, Let everyone who names [himself by] the name of the Lord give up all iniquity and stand aloof from it. 20 But in a great house there are not only vessels of gold and silver, but also [utensils] of wood and earthenware, and some for honorable and noble [use] and some for menial and ignoble [use]. 21 So whoever cleanses himself [from what is ignoble and unclean, who separates himself from contact with contaminating and corrupting influences] will [then himself] be a vessel set apart and useful for honorable and noble purposes, consecrated and profitable to the Master, fit and ready for any good work. 22 Shun youthful lusts and flee from them, and aim at and pursue righteousness (all that is virtuous and good, right living, conformity to the will of God in thought, word, and deed); [and aim at and pursue] faith, love, [and] peace (harmony and concord with others) in fellowship with all [Christians], who call upon the Lord out of a pure heart. 23 But refuse (shut your mind against, have nothing to do with) trifling (ill-informed, unedifying, stupid) controversies over ignorant questionings, for you know that they foster strife and breed quarrels. 24 And the servant of the Lord must not be quarrelsome (fighting and contending). Instead, he must be kindly to everyone and mild-tempered [preserving the bond of peace]; he must be a skilled and suitable teacher, patient and forbearing and willing to suffer wrong. 25 He must correct his opponents with courtesy and gentleness, in the hope that God may grant that they will repent and come to know the Truth [that they will perceive and recognize and become accurately acquainted with and acknowledge it], 26 And that they may come to their senses [and] escape out of the snare of the devil, having been held captive by him, [henceforth] to do His [God’s] will. But understand this, that in the last days will come (set in) perilous times of great stress and trouble [hard to deal with and hard to bear]. 2 For people will be lovers of self and [utterly] self-centered, lovers of money and aroused by an inordinate [greedy] desire for wealth, proud and arrogant and contemptuous boasters. They will be abusive (blasphemous, scoffing), disobedient to parents, ungrateful, unholy and profane. 3 [They will be] without natural [human] affection (callous and inhuman), relentless (admitting of no truce or appeasement); [they will be] slanderers (false accusers, troublemakers), intemperate and loose in morals and conduct, uncontrolled and fierce, haters of good. 4 [They will be] treacherous [betrayers], rash, [and] inflated with self-conceit. [They will be] lovers of sensual pleasures and vain amusements more than and rather than lovers of God. 5 For [although] they hold a form of piety (true religion), they deny and reject and are strangers to the power of it [their conduct belies the genuineness of their profession]. Avoid [all] such people [turn away from them]. 6 For among them are those who worm their way into homes and captivate silly and weak-natured and spiritually dwarfed women, loaded down with [the burden of their] sins [and easily] swayed and led away by various evil desires and seductive impulses. 7 [These weak women will listen to anybody who will teach them]; they are forever inquiring and getting information, but are never able to arrive at a recognition and knowledge of the Truth. 8 Now just as [a]Jannes and Jambres were hostile to and resisted Moses, so these men also are hostile to and oppose the Truth. They have depraved and distorted minds, and are reprobate and counterfeit and to be rejected as far as the faith is concerned. 9 But they will not get very far, for their rash folly will become obvious to everybody, as was that of those [magicians mentioned]. 10 Now you have closely observed and diligently followed my teaching, conduct, purpose in life, faith, patience, love, steadfastness, 11 Persecutions, sufferings—such as occurred to me at Antioch, at Iconium, and at Lystra, persecutions I endured, but out of them all the Lord delivered me. 12 Indeed all who delight in piety and are determined to live a devoted and godly life in Christ Jesus will meet with persecution [will be made to suffer because of their religious stand]. 13 But wicked men and imposters will go on from bad to worse, deceiving and leading astray others and being deceived and led astray themselves. 14 But as for you, continue to hold to the things that you have learned and of which you are convinced, knowing from whom you learned [them], 15 And how from your childhood you have had a knowledge of and been acquainted with the sacred Writings, which are able to instruct you and give you the understanding for salvation which comes through faith in Christ Jesus [through the [b]leaning of the entire human personality on God in Christ Jesus in absolute trust and confidence in His power, wisdom, and goodness]. 16 Every Scripture is God-breathed (given by His inspiration) and profitable for instruction, for reproof and conviction of sin, for correction of error and discipline in obedience, [and] for training in righteousness (in holy living, in conformity to God’s will in thought, purpose, and action), 17 So that the man of God may be complete and proficient, well fitted and thoroughly equipped for every good work. I charge [you] in the presence of God and of Christ Jesus, Who is to judge the living and the dead, and by (in the light of) His coming and His kingdom: 2 Herald and preach the Word! Keep your sense of urgency [stand by, be at hand and ready], whether the opportunity seems to be favorable or unfavorable. [Whether it is convenient or inconvenient, whether it is welcome or unwelcome, you as preacher of the Word are to show people in what way their lives are wrong.] And convince them, rebuking and correcting, warning and urging and encouraging them, being unflagging and inexhaustible in patience and teaching. 3 For the time is coming when [people] will not tolerate (endure) sound and wholesome instruction, but, having ears itching [for something pleasing and gratifying], they will gather to themselves one teacher after another to a considerable number, chosen to satisfy their own liking and to foster the errors they hold, 4 And will turn aside from hearing the truth and wander off into myths and man-made fictions. 5 As for you, be calm and cool and steady, accept and suffer unflinchingly every hardship, do the work of an evangelist, fully perform all the duties of your ministry. 6 For I am already about to be sacrificed [my life is about to be poured out as a drink offering]; the time of my [spirit’s] release [from the body] is at hand and I will soon go free. 7 I have fought the good (worthy, honorable, and noble) fight, I have finished the race, I have kept (firmly held) the faith. 8 [As to what remains] henceforth there is laid up for me the [victor’s] crown of righteousness [for being right with God and doing right], which the Lord, the righteous Judge, will award to me and recompense me on that [great] day—and not to me only, but also to all those who have loved and yearned for and welcomed His appearing (His return). 9 Make every effort to come to me soon. 10 For Demas has deserted me for love of this present world and has gone to Thessalonica; Crescens [has gone] to Galatia, Titus to Dalmatia. 11 Luke alone is with me. Get Mark and bring him with you, for he is very helpful to me for the ministry. 12 Tychicus I have sent to Ephesus. 13 [When] you come, bring the cloak that I left at Troas with Carpus, also the books, especially the parchments. 14 Alexander the coppersmith did me great wrongs. The Lord will pay him back for his actions. 15 Beware of him yourself, for he opposed and resisted our message very strongly and exceedingly. 16 At my first trial no one acted in my defense [as my advocate] or took my part or [even] stood with me, but all forsook me. May it not be charged against them! 17 But the Lord stood by me and strengthened me, so that through me the [Gospel] message might be fully proclaimed and all the Gentiles might hear it. So I was delivered out of the jaws of the lion. 18 [And indeed] the Lord will certainly deliver and [a]draw me to Himself from every assault of evil. He will preserve and bring me safe unto His heavenly kingdom. To Him be the glory forever and ever. Amen (so be it). 19 Give my greetings to Prisca and Aquila and to the household of Onesiphorus. 20 Erastus stayed on at Corinth, but Trophimus I left ill at Miletus. 21 Do hasten and try your best to come to me before winter. Eubulus wishes to be remembered to you, as do Pudens and Linus and Claudia and all the brethren. 22 The Lord Jesus Christ be with your spirit. Grace (God’s favor and blessing) be with you. Amen (so be it). Full confession . . . I have for most of my Christian walk had an attitude about Paul. He’s brash and blunt and he seems to belabor things for a long time, hence the gentleman falling out the window. I especially have felt myself bristle at the teachings we find in the writings of Paul on the role of women in the church. But through this reading over Lent, I have absolutely seen him in a different light and I find myself desiring to be like him in gentleness, love, and tender affection. Those are words that I would never have used previously to describe Paul. I praise God that He has opened up my heart to see the protector in Paul . . . the humility in Paul . . .the love in Paul. Love he exercised at all cost. He suffered rejection for the Truth, he suffered humiliation for the Gospel, he suffered through loneliness, separation, loss of everything. He looked at death through the lenses of freedom and life, but he didn’t flinch in letting us know . . .this was difficult. There were times reading these letters to his dear son Timothy that I found myself wanting to turn away because it seemed so personal. 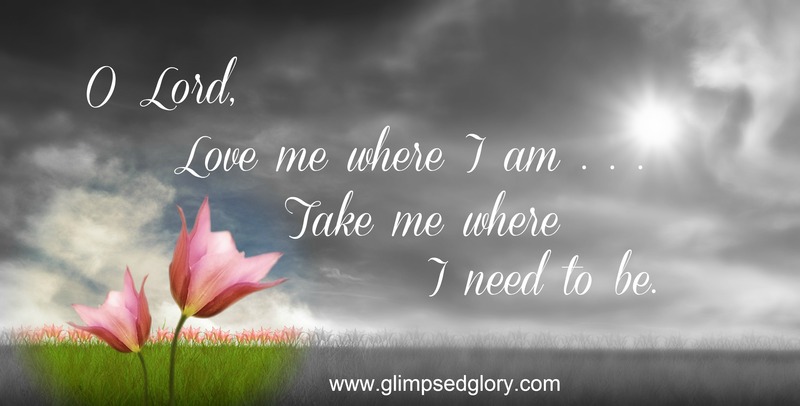 The tears flowed openly down my face as I let myself imagine how much he desired to look Timothy in the face one more time and how much he would have preferred to give him all this wisdom with a fatherly hand laid across his shoulders. In the last chapter of 2 Timothy, interspersed with the news of who is where and who is doing what, we’re giving little glimpses of Paul’s heart and his human want to see his dear child in the faith one more time . . .
Did your heart not break for him when he wrote about standing alone at trial? Did his loneliness not reach across the page and grab your heart for him? There is something about giving voice to a situation that makes the pain of it so much more real to me. I’m not talking about rash sharing designed to make people choose sides and simply vent my own displeasure. I’m talking about sharing a true offense that has been committed against you after you’ve had some time to process through it. It’s almost as if it increases the intensity of the hurt and it wounds you all over again. Rash sharing and venting isn’t what we see of Paul here either. He doesn’t even name names –and neither should I—he uses the vague “all forsook me.” He’s thought the thing through and as an imitator of Christ Jesus, he wants the offenders to be forgiven. So Paul’s willingness to put that out there—to be vulnerable that way—speaks volumes to me, and maybe to you, about the desire to hide the difficult situations. I’m not advocating exposing our every scar just for exposure’s sake but maybe the vulnerability and readiness to share the things that have hurt our hearts will give us opportunities to spread the fame of the One who heals them . . .
Paul’s anchored in his Ever-Present Jesus. He’s certain that the Messiah will draw him near at every turn and will provide for him in every way. His desire to see Timothy is not because he feels God is falling short or not filling him to the full, he just loves him. Plain and simple. He loves him and he wants to say a proper goodbye in person. Paul doesn’t get to do that and though we don’t have written record of it, I’m pretty sure, based on his gratefulness for the fruit of his hardships here on earth, that when he got to heaven and God laid out all the ways He was planning to use his farewell letters to Timothy – Paul rejoiced. And soon after, he rejoiced again . . . with Timothy. Let yourself picture that sweet reunion and the eternal hellos they shared with the impact of their temporal goodbyes as the backdrop. Isn’t God good? And as I wrote earlier, I am praising God for opening Paul’s life up to me in a new way and even leading me to pray . . .
Lord, I want to live like that—when Paul wrote model yourself after me—let me do that very thing. Let me relate not only to his baggage and the sin he carried into his faith but the life he lived in love after the scales fell—I want that. But moreover, what I am praising my Father for is the unequivocal reminder that these are not Paul’s words—they are His. See that changes things for me because when I take them from Paul’s pen to God’s heart then I begin to more fully appreciate the authority they have over me and I realize the sin I indulge in when I set myself up to judge rather they are right or wrong. My understanding of a boundary God has set is not required but my obedience is. Adam and Eve proved that . . . God set the boundary, they stepped across the line and they left God’s blessing behind. For today, my eyes are open to that deception, and I’m not falling for the serpent’s trick. I’m going to be obedient and boldly proclaim the Gospel and the goodness of my God all throughout the territory He stamped with my name, but I will stay within the boundaries He has given me and I will not leave His blessing behind. 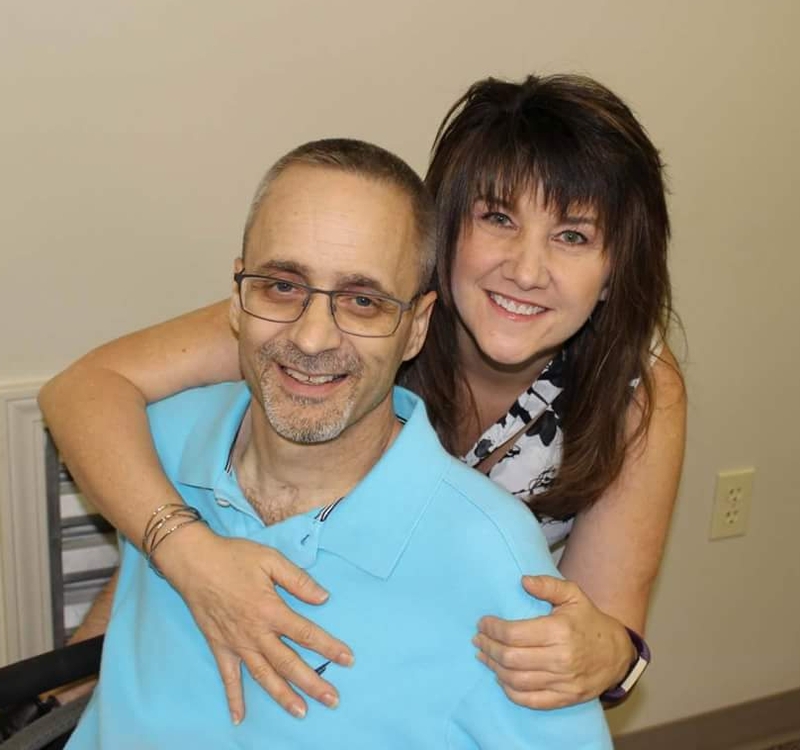 My new friend Paul was called to do a lot of things that may not have made sense to him. He was called to stay put and teach right where he was when he wanted to go and strengthen more believers. 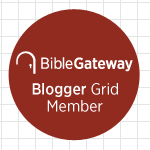 He was imprisoned and the borders around his goodbye to Timothy were set by the chains he wore. He may not have understood but he knew the One who did. 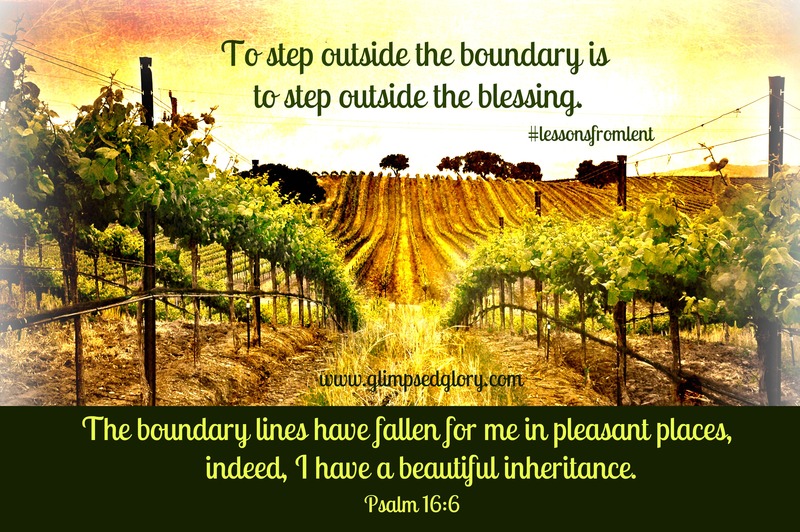 Paul knew that the One who hemmed him in, the One who put his boundary lines in place . . . he knew He was faithful. You and I need to follow the example of trust and reliance in all circumstance—in all hardship—that Paul put out there. We need to embrace that obedience flows from faith and that the One who blesses has thoughts far higher than ours. We need to hold fast to the One who laid down our boundary lines and trust Him to do the beautiful thing. We need to know that He who promises is Faithful to Himself and that means our boundaries were set in love. See, Paul might not have understood the why of his boundaries, but he understood the Who of his Blessing – I want that. Leaving my boundaries behind means leaving my blessings behind. What a powerful statement. We need to be like Jesus and step out in faith. I am thinking of my dear friends who are Missionaries in Sudan. Who turned Genesis House for women who were abused etc. And went to Sudan to start a new home for women. there couldn’t be a more truer statement then if we step outside Gods boundaries we’re choosing to step away from Gods blessings. well said Wife, well said!